The Duke and Duchess of Cambridge just released a brand new photo of their adorable cute baby boy at eight months. 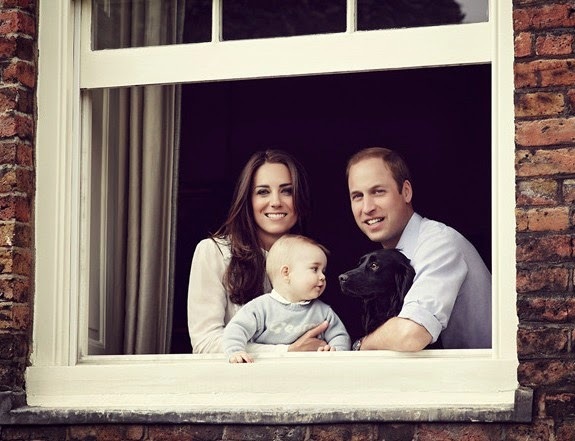 Wearing a baby blue sweater and looking at the family's dog, Lupo, Prince George is seen posing for a photo with his parents at Kensington Palace on March 18, 2014. This is only the third official family portrait since the baby's birth in July 2013. Photographer Jason Bell also took the last pic of Prince George at his christening back in October.